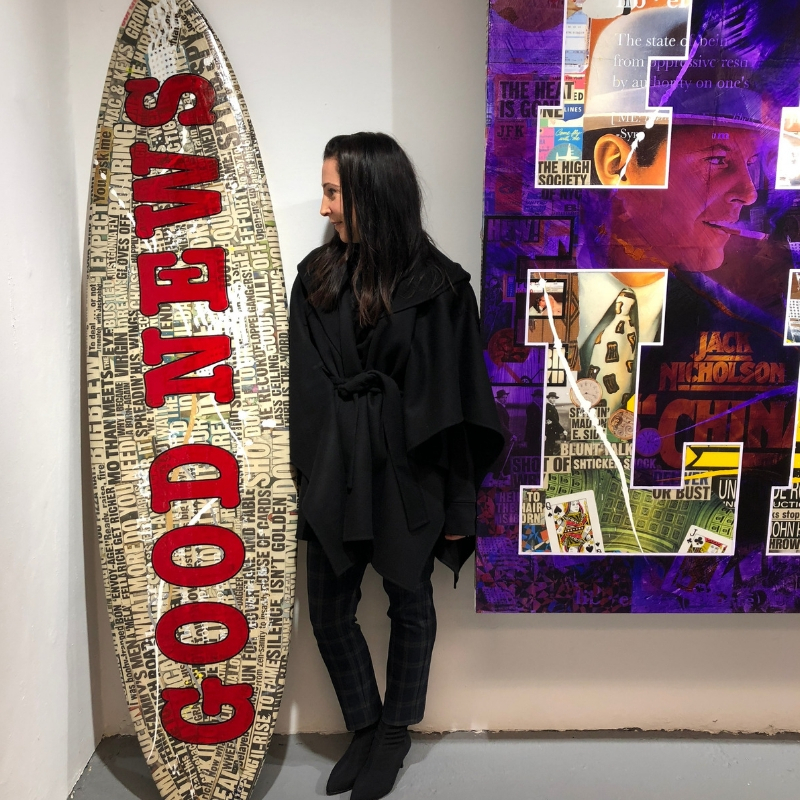 Feel as royal as Meghan Markle in a luxe cape (we can only hope)! This season we are all about Capes and Blanket Scarves and why wouldn’t we be? 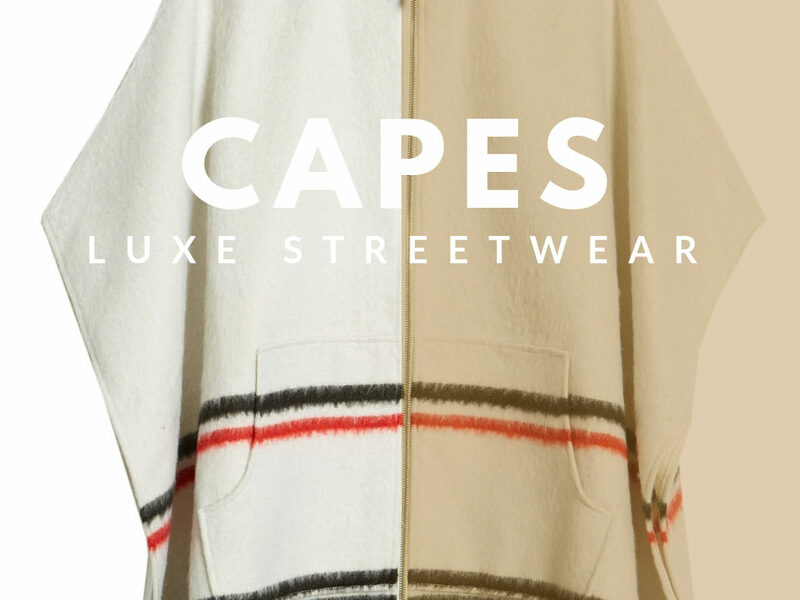 The cape is unconventional enough to stand out in the streets, and luxurious enough for the Queen of England. 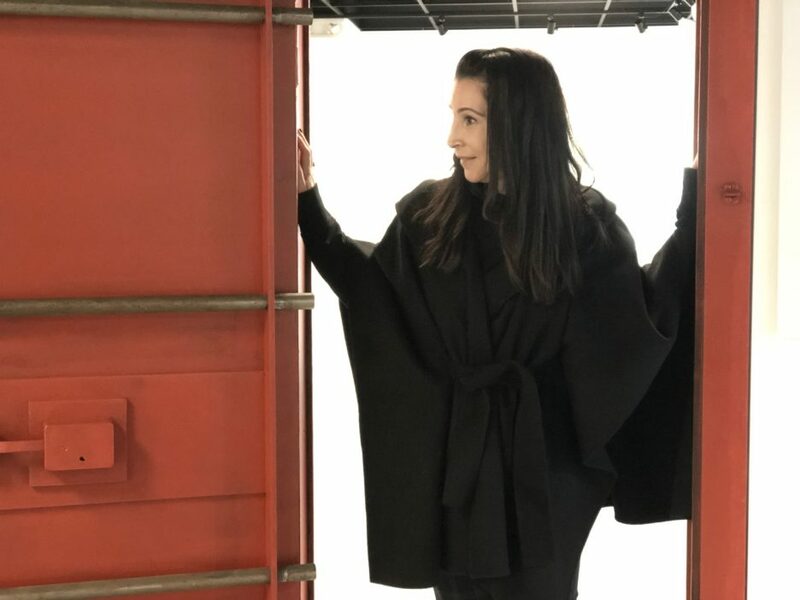 Once you try a winter luxe cape as an alternative to coats, we’re sure you’ll be royally hooked! When we leave the house in the morning after a blissful few moments with a cup of coffee, we usually layer up to face the bitter cold. 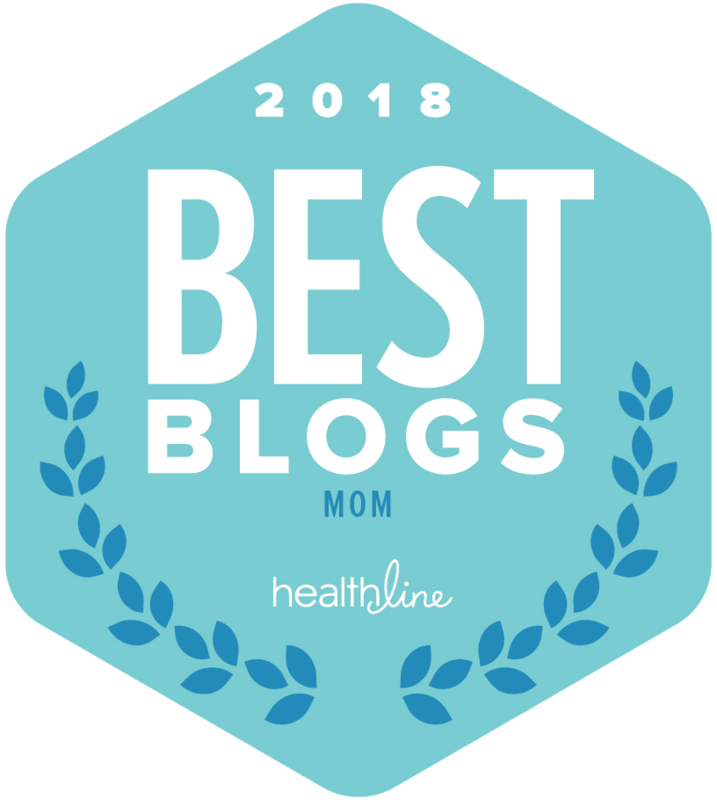 And trust us, you wouldn’t believe how HARD it is to maintain a big grin and trying to coax a reluctant child bundled up to resemble a marshmallow out into the freezing cold. 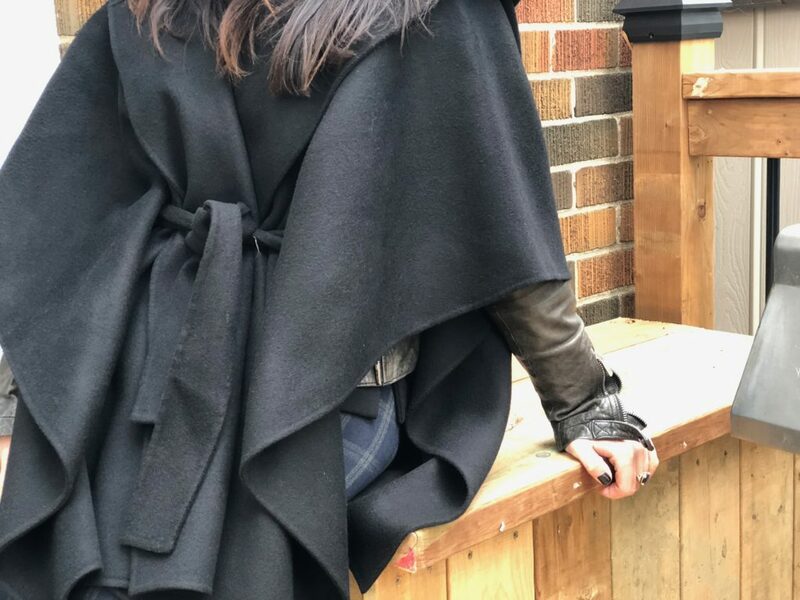 Thus, we integrate the cape…Along with being a fashion statement at school drop off with a cape draped elegantly over pajamas, the cape offers less commitment than a coat. Sleeves? Who needs em. As the day progresses, we find we have to shed some of those layers. 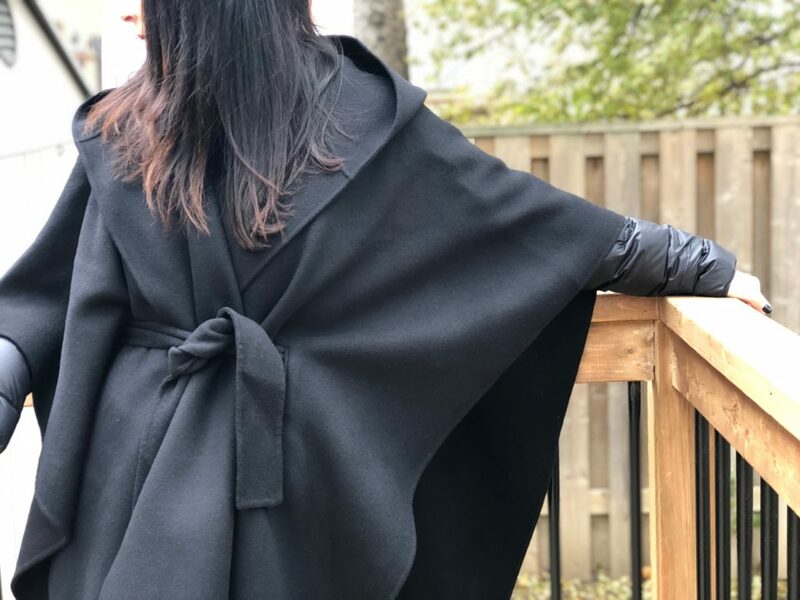 Capes and Blanket Scarves are perfect for Fall weather, not to mention they are so cuddly and soft! Both can fit over everything including your bell sleeve tops, bulky knits, a leather jacket and your puffer jackets. Not to mention, capes are much easier to pack into an oversized bag than a jacket when the weather becomes bearable. Timeless addition to your wardrobe! Pictured above: wool cape, plaid pants, sock boots. 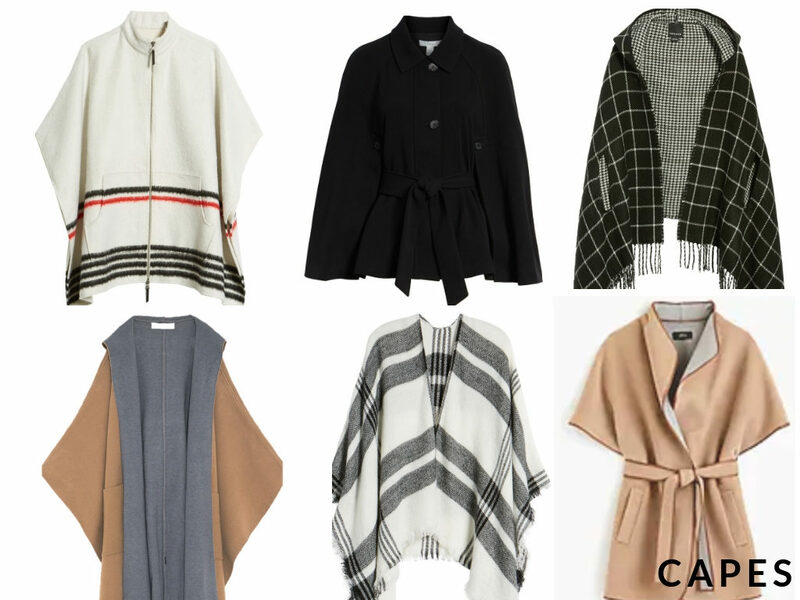 From top left: white striped cape scarf, black cape, reversible check cape, long camel cape, white plaid cape and camel wool cape. Hendrixroe’s TFW Fierce Innerbloom Collection Rocks! Christopher Paunil’s Chic Looks are Timeless The Most Comfortable Fall Ankle Boots That You Will Actually Want To Wear We are WILD about Animal Prints this season!